TricorBraun WinePak® has been supplying the wine industry with top quality wine bottles since 1982. 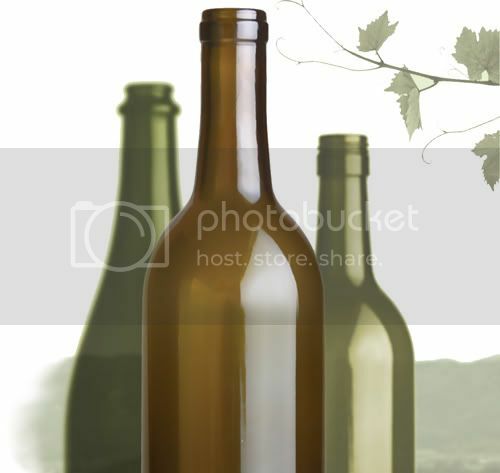 We provide a wide range of domestically made and imported wine bottles. TricorBraun WinePak® is synonymous with options and quality. When you are looking for wine packaging, contact us for options with domestic and international wine bottles, eco-friendly bottles, Stelvin closures, capsules and more. Our GOAL is to provide the products to enhance your wines in the marketplace with quality products and outstanding service. When you hear the name TricorBraun WinePak, don't just think packaging. Think the biggest, most knowledgeable packaging supplier in the industry with a quality focus that provides the most options for all of your wine packaging needs. TricorBraun WinePak is the largest distributor of wine glass in North America. We have locations in Northern and Southern California, Oregon, Washington, and British Columbia. Through the years we've grown and adapted with the rest of the wine industry. The TricorBraun WinePak Promise is our commitment to quality and convenience is this: We promise that your order will arrive on time and precisely as you ordered it. This is upheld by every individual in our organization; at the core of every action we take. We choose not simply to be a distributor of products but a supplier of value. To provide expertise on the full spectrum of wine packaging issues, not JUST the bottle. Never biased toward one product or set of products, or focused on making the next sale, we guide you to right solution for you. Our strong relationships with domestic, Asian, Mexican and European glass sources provide us with access to wide variety of stock packaging options to offer our customers. We have invested over $2 million in our fully automated repacking operation. Inventory management is another area we excel in. We can develop a program that will ensure you have your glass when and where you need it. The TricorBraun WinePak Promise is our commitment to quality and convenience is this: We promise that your order will arrive on time and precisely as you ordered it. This is upheld by every individual in our organization; at the core of every action we take. We choose not simply to be a distributor of products but a supplier of value. To provide expertise on the full spectrum of wine packaging issues, not JUST the botle. Never biased towawrd on product, or one set of products - we focus on the right solution, not simply the next sale. Options Plus. Providing superior quality, service and packaging options to the wine industry since 1982. TricorBraun, a global packaging leader, has acquired Pacific Bag, LLC, one of the largest independent U.S. distributors of flexible packaging. The company will combine Pacific Bag with its existing flexibles business, Taipak, to create TricorBraun Flex, a new business unit focused on flexible packaging. Taipak and Pacific Bag will continue to operate out of existing locations in Vancouver, Seattle, Calgary, Toronto, and Philadelphia. “By combining Pacific Bag and Taipak’s flexibles expertise, paired with TricorBraun’s capabilities and resources, we can provide exceptional products and services based on our customers’ evolving packaging needs,” said TricorBraun CEO and President Court Carruthers. OAK BROOK, Ill., March 9, 2018 — Samantha Juna, TricorBraun industrial design manager, will serve as a juror in the Industrial Designers Society of America (IDSA) Student Merit Awards competition at the University of Illinois today, March 9. Juna, a University of Illinois alumna and former IDSA Student Merits Awards participant, will evaluate senior presentations from the University of Illinois Industrial Design program and recommend an award recipient. The student selected by the judging panel will compete against Student Merit Award winners from other accredited design schools at the regional and possibly, national levels. In addition to the official IDSA judging criteria, Juna will be looking for solution creativity, quality of design thinking and significance of the problem/how the design addresses a real need. The IDSA Student Merit Awards is an annual celebration of industrial design student achievement. It provides participants a tremendous platform for showcasing their talent while gaining significant industry exposure both individually and for the institutions where they study. Those who compete often find themselves with job offers and elevated potential for advancing their professional design careers. TricorBraun Design & Engineering Group is a business unit of TricorBraun, a global packaging solutions company focused on providing innovative, custom solutions. An industry leader in glass and plastic containers, closures, dispensers and tubes, TricorBraun operates from more than 40 locations throughout North America and around the world. TricorBraun’s award-winning Design & Engineering Center provides forward-thinking service driven by consumer insight, market understanding and creative solutions for personal care, cosmetics, healthcare, food and beverage, industrial household chemical and animal health products. For more information about TricorBraun Design & Engineering Group, contact Charmaine Laine, Marketing Communications Manager, at claine@tricorbraun.com or 630-645-1208. The TricorBraun WinePak Promise is our commitment to quality and convenience is this: We promise that your order will arrive on time and precisely as you ordered it. This is upheld by every individual in our organization; at the core of every action we take. We choose not simply to be a distributor of products but a supplier of value. To provide expertise on the full spectrum of wine packaging issues, not JUST the bottle. Never biased toward one product, or one set of products - we focus on the right solution, not simply the next sale. TricorBraun, a global packaging solutions leader, is pleased to announce that Court Carruthers will become the company’s President and CEO effective October 30, 2017. He succeeds the company’s long-serving President and CEO, Keith Strope, who will become Executive Chairman. Carruthers has worked with AEA Investors over the last two years and has served on TricorBraun’s board of directors since AEA’s purchase of the company. He previously spent 13 years with W.W. Grainger Inc., serving in various global leadership roles, most recently as Group President, Americas. In this role, he was responsible for the company’s $9 billion business across North and South America, including 15,000 team members in more than 500 locations, as well as eCommerce and technology innovation for the company. In addition, Carruthers brings considerable public and private board experience, including US Foods, Ryerson Holding Corp, and Follett Corporation. Strope has served TricorBraun for 36 years. He was appointed COO in 1997 and CEO in 2002. Under his leadership, the company has grown more than five-fold and has tremendously enhanced its capabilities by globalizing its supply chain, expanding its solutions offering and augmenting its design expertise. He will continue in an active role as Executive Chairman with a focus on mergers and acquisitions, strategy, and further expanding industry and customer relationships. TricorBraun (www.tricorbraun.com) is a packaging solutions company, focused on providing innovative, custom solutions for its many customers. An industry leader in glass and plastic containers, closures, dispensers and tubes, TricorBraun operates from more than 40 locations throughout North America and internationally from London, England; Guangzhou, China; Hong Kong, and Mumbai, India. Our award-winning Design & Engineering Center provides forward-thinking service driven by consumer insight, market understanding and creative solutions. TricorBraun’s advisory services range from preliminary planning and manufacturing oversight to warehousing and logistics programs. Fairfield, CA (September, 2017) — TricorBraun WinePak, North America's leading wine bottle distributor, has hired Steve Grande as a Packaging Consultant, according to Andrew Bottene, Senior Vice President at TricorBraun WinePak. Grande has worked in all aspects of the wine business, with experience in direct sales, sales management, marketing and public relations. Starting at Ferrari-Carano, where he ran a bottling line, Grande was also an Assistant Winemaker at Peterson Winery in the Dry Creek Valley and then moved on to barrel sales for a French cooperage. During the last ten years, Grande has been an Account Manager for Ramondin Capsules, a Spanish manufacturer of tin capsules and screwcaps. Fairfield, CA (September 8, 2017) — TricorBraun WinePak, North America’s leading wine bottle distributor, has hired David Jewell to the position of Vice President of WinePak Operations, according to Andrew Bottene, Senior Vice President at TricorBraun WinePak. For the past 35 years, TricorBraun WinePak has been a driving force in the wine packaging industry. Today, as our industry shifts and global competition impacts product quality, pricing and availability—we recognize that many of our customers face confusing questions. “Who should I buy from?” and “Should I simply opt for the lowest price?” become real decisions. For TricorBraun WinePak, these shifts provide an opportunity to reaffirm our unique and long-standing position in the wine packaging industry. Our commitment to quality and convenience is this: An unbending promise that your order will arrive, on-time and as-ordered. This is the promise that drives our purpose. Backed by a legacy of leadership, it is upheld by every individual in our organization; at the core of every action we take. We choose not simply to be a distributor of products, but a supplier of value. To provide expertise on the full-spectrum of wine packaging issues, not just the bottle. Never biased toward one product, or one set of products — we focus on the right solution, not simply the next sale. Here we balance our growing size with personalized service. And recognize that while our industry will change, our promise never will. This is our purpose; this is our promise. This, is WinePak. Put simply, we stand behind our work. Much more than a promotional effort, the WinePak Promise represents an operational commitment from every single person in our organization. As our industry’s leading wine bottle distributor, we continue to find new ways to provide value: ultimately focused on those efforts that deliver unique, custom packaging solutions for our many customers. TricorBraun WinePak stands as the best source for quality domestic and imported bottles in the wine and spirits packaging business — in the most popular styles and colors. To ensure consistent performance, TricorBraun WinePak also supplies an array of dependable closures and capsules. We firmly believe that we are the future of the wine packaging industry. Todd Christopher Wilson, age 50, passed away on August 9 after a brief and courageous battle with bile duct cancer. Todd was a Packaging Consultant for TricorBraun in Washington for over 8 years, and he will be greatly missed. TricorBraun sends condolences to the family. St. Louis, Missouri – June 26, 2017 – TricorBraun has entered into a definitive agreement to acquire Canadian-based Salbro Bottle (www.salbrobottle.com), a 27-year-old packaging solutions company, according to Keith Strope, President and CEO, of TricorBraun. As part of the deal, TricorBraun will acquire enhanced rapid prototyping and even quicker response times,” said Strope. According to Gary Saltz, President of Salbro, the acquisition will allow his company to continue to focus on serving customers. Paul Saltz, Vice President of Sales and Marketing, and David Saltz, Vice President of Operations, agree. “Our relationship with TricorBraun gives us additional strength to grow,” they said. “We remain fiercely committed to providing innovative, custom solutions for our customers,” said Strope. He said the acquisition of Salbro allows TricorBraun to better serve Canadian customers with more added value. He said that TricorBraun will continue to look for acquisitions that help grow its strategic vision. Salbro Bottle (http://www.salbrobottle.com), is a Woodbridge, Ont.-based company founded in 1990. Salbro’s packaging solution business provides creative plastic containers, glass containers and closures to its customers. The company operates from a 40,000-square-foot headquarters in Woodbridge. It also operates a 70,000-square-foot facility in nearby Vaughan, Ont., a 15,000-square-foot location in St. John’s, Newfoundland and has a Montreal sales office with approximately 30,000 sq feet of 3PL warehousing. TricorBraun (www.tricorbraun.com) is a packaging solutions company, focused on providing innovative, custom solutions for its many customers. An industry leader in glass and plastic containers, closures, dispensers and tubes, TricorBraun operates from more than 40 locations throughout North America and internationally including Canada, Mexico, England, China, Hong Kong, and India. Our award-winning Design & Engineering Centers provide forward-thinking service driven by consumer insight, market understanding and creative solutions. TricorBraun’s advisory services range from preliminary planning and manufacturing oversight to warehousing and logistics programs. Fairfield, CA (May 9, 2017) — TricorBraun WinePak, the largest wine-bottle distributor in North America, has been named “Best Bottle Supplier of 2017” by respondents to Vineyard & Winery Management’s fifth-annual Best Wine Industry Suppliers survey. TricorBraun WinePak offers custom design, decorating, and repacking and is the largest wine bottle stocking distributor with over 100 styles and colors in stock, according to Bottene. “We supply all bottle sizes, closures and capsules and source the highest quality domestic and imported glass,” he said. According to Bottene, TricorBraun’s quality assurance staff provides customers and sales staff with the tools and technical support to ensure quality and customer satisfaction throughout the entire process. “Our quality assurance staff isolates issues, provides solutions, helps to minimize downtime and expense and troubleshoots quality issues related to all facets of packaging,” he said. The long tenure of the company’s sales people is another competitive advantage, said Bottene. TricorBraun WinePak is the largest wine bottle distributor in North America and a subsidiary of TricorBraun. TricorBraun (www.tricorbraun.com) is a packaging solutions company, focused on providing innovative, custom solutions for its many customers. An industry leader in glass and plastic containers, closures, dispensers and tubes, TricorBraun operates from more than 40 locations throughout North America and internationally from London, England: Guangzhou, China; Hong Kong, and Mumbai, India. Our award-winning Design & Engineering Center provides forward-thinking service driven by consumer insight, market understanding and creative solutions. TricorBraun’s advisory services range from preliminary planning and manufacturing oversight to warehousing and logistics programs. For more information, please contact Suzie Fenton, CPP, Fellow, Vice President, Brand Marketing at TricorBraun, at 314-983-2010, or at sfenton@tricorbraun.com. For the past 35 years, TricorBraun WinePak has been a driving force in the wine packaging industry. As our industry’s leading wine bottle distributor, we have watched the industry grow and evolve, as we have continued to focus our efforts on delivering unique, custom packaging solutions for our many customers. We are not simply a distributor of products, but a supplier of value. Many competitors can sell a bottle. At TricorBraun WinePak, we are in the business of selling success. We are experts on the full-spectrum of wine packaging issues, not just the bottle. The wine business is a complex, relationship-driven industry. With an average of 20 years of experience each, our Packaging Consultants offer advice and expertise not found elsewhere. We are not biased toward one product, or one set of products. As a true distributor, we source from all manufacturers and work to bring our customers the very best solution for their given situation. Our existing supplier partners will continue to be our existing supplier partners. We focus on the right solution, not simply the next sale. With a 35-year history of building deep relationships with customers and suppliers, we are committed to upholding a reputation that always puts the best interests of our customer, first. We balance scale with personalized service. We have sales of more than $150 million and our Fairfield, California, facility features more than 360,000 square feet of warehouse space and a $2-million auto repacking system. We have additional warehousing space throughout the major wine growing regions in America and Canada. Our industry will continue to change, but we will not. Evolution in our industry is inevitable. We are committed to never stray from our focus of providing customers with better, more innovative solutions. As packaging options evolve, so too will our solutions. TricorBraun WinePak proudly looks forward to continuing our industry-leading success now and well into the future. TricorBraun WinePak is the largest wine bottle distributor in North America and a subsidiary of TricorBraun. With more than 115 years of experience, TricorBraun is one of the world’s leading suppliers of bottles, jars and other rigid packaging components with annual sales approaching $1 billion and more than 41 locations in the United States, Canada, Mexico, Asia and Europe. For more information, please contact Suzanne Fenton, VP, Brand Marketing at 314-983-2010, or at marketing@tricorbraun.com. TricorBraun WinePak has expanded their stocking selection of Stelvin closures and Polylam capsules. In addition, 3 sizes of tin capsules are now available immediately from stock. 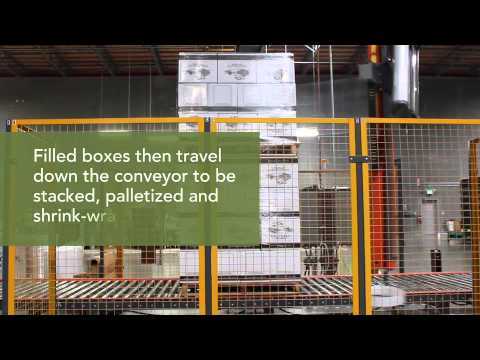 Learn more about TricorBraun WinePak Stock Packaging. Since 1982, TricorBraun Winepak has been the top supplier of high quality glass to wine industry customers throughout North America, an area encompassing the U.S., Canada, and Mexico. The company’s market dominance and sterling reputation stem from an ironclad commitment to quality assurance and tight, systematic quality controls. “At TricorBraun Winepak we have the ability to work with domestic glass suppliers as well as glass manufacturers globally, so we have lots of options,” notes Gregory Creamer, TricorBraun Winepak’s Director of Quality Assurance (QA). Mr. Creamer explains that one of the quality control steps taken by TricorBraun WinePak is implementing the Military Standard 105E pre-inspection process for all glass entering all of its facilities. Random samples of glass are examined by production date and carefully checked for Heavy Metals, Sink/Bulge, Out of Round and all critical, major or minor defects at least three times; first, by the manufacturer, then by TricorBraun Winepak’s quality control teams and again at the warehouse site. All inspections must result in the product meeting or exceeding standards set by the Toxic Packaging Clearinghouse (TPCH) as well as CA Prop 65. All of TricorBraun WinePak’s glass manufacturers are testing for heavy metals based on both the TPCH standards and CA Prop 65. TricorBraun WinePak conducts tests at their facility as well as sending random samples for SGS testing to verify there are no heavy metals in the bottles. “Our objective is to minimize glass quality issues for our customers and all of the sampling we do in Fairfield is designed to do that,” he adds confidently. Creamer credits his company’s success to its dedication to the industry and a culture of excellence. TricorBraun WinePak recognizes that Creamer’s extensive background in engineering and glass manufacturing and production is a clear asset to their customers. St. Louis MO – The successful zero-waste program that TricorBraun WinePak launched several years ago and continues to offer to its wine industry customers incurs no expense for the customer. It has so far redirected more than 2,800 tons of waste to recyclers, according to Andrew Bottene, Senior Vice President – WinePak. TricorBraun WinePak (www.tricorbraunwinepak.com) is a $134 million division of leading packaging development company TricorBraun that specifically services the wine industry. It is the largest supplier of wine packaging in North America. In March 2012, the company launched a four-point program to systematically eliminate waste. The four points were based on its four material streams: corrugated, plastic, pallets and waste glass. The strategy is to match the right recyclers with the company’s needs. Lanny Johnson, TricorBraun WinePak’s Manager of Repack and Warehouse Operations manages the program. Information from the program can also be used to enable wineries and vineyards to obtain SIP (Sustainability in Practice) Certification. SIP is a rigorous sustainable vineyard and winery certification with strict requirements. Certification is based on science and expert input, independent verification, transparency, and absence of conflict of interest. Waste corrugated in different forms has been reevaluated in 2015. While unusable corrugated continues to be recycled at no cost, TricorBraun WinePak now has an additional partner that can repurpose some corrugated materials for direct use in the packaging industry. Currently, over 1,200 tons of corrugated have been either recycled or repurposed. Plastic waste, including pallet stretch wrap, plastic strapping and PET (polyethylene terephthalate) is placed in totes that are provided without charge by a recycler and are strategically placed around the distribution center. This alliance between the company and its recycler has kept more than 50 tons of waste plastic out of landfills, according to Johnson. Waste glass is a valuable commodity. Between 95 and 98 percent of the company’s broken glass is recycled. As of December 2015, TricorBraun WinePak has provided glass manufacturers with more than 1,600 tons of broken glass destined to become new bottles, jars or other glass products. The biggest challenge has been recycling low-impact shipping pallets utilized by some suppliers. Unlike traditional pallets, which are made from hardwoods and are readily recyclable, these pallets are made from pressboard and plywood, which are not typically recyclable. TricorBraun collaborates with a local company that collects these types of products and resells them as a fuel source to the operator of a California incinerator. “Since the program’s inception, more than 6,000 pallets that would have been destined for the landfill provide energy back into the California market place,” reports Johnson. Recycling and repurposing materials that would otherwise be disposed of as waste are good for the industry, beneficial for the environment and have become an integral part of TricorBraun operations at every level. The company continues to work with outside companies, new processing methods and innovation to achieve the most beneficial results as all employees make this an everyday part of their work habit. TricorBraun WinePak has offices in Northern and Southern California, Oregon, Washington, Canada and Mexico. It has been serving the wine industry since 1982. The company’s facilities include a $2 million repacking system that automatically transfers wine bottles from eight-foot-high stacks of pallets to individual wineries’ custom, 12-bottle cartons. St. Louis, MO – The Ardagh Group ECO Series wine bottles distributed by TricorBraun WinePak have become very popular with wineries intent to reduce their ecological footprint. The ECO Series bottles are up to 3 ounces lighter in weight than traditional bottles, are made with more than 55% recycled glass and are produced using clean-burning furnaces. As a result, they produce fewer carbon emissions into the atmosphere both during manufacture and transport. The certificates are issued to TricorBraun WinePak customers that have purchased 80% or more of their bottles from the ECO Series line. Certificates are sent to qualifying wineries via E-mail, where they can either be printed for display or used in online and E-mail marketing to promote the wineries’ commitment to reducing environmental impact. St. Louis MO, April 2015 – TricorBraun, one of the world’s leading providers of rigid packaging and components, has completed three new regional centers to support the company’s continuing growth in North America. The new facilities replace existing centers with larger facilities able to respond quickly to customer needs. They are located in San Francisco and Santa Rosa, California and in Memphis, Tennessee, and include expanded warehousing and distribution center capability supported by sales and administrative staff. “These facilities will provide expanded support to growing customer demand in two very successful TricorBraun regions,” said Keith Strope, TricorBraun’s chief executive officer in announcing the expansion. to support the rapidly growing needs of the Asian packaged goods market. That center supports TricorBraun’s Indian operations as well as its facilities in Beijing, Guangzhou (Canton) and Hong Kong, China. St. Louis, Mo. March 4, 2015… Innovation frequently comes at a high price, often making it a risky strategy, according to Craig Sawicki, TricorBraun executive vice president. The chief creative officer for one of North America’s largest suppliers of rigid packaging and components will divulge how his design teams minimize the risk of stepping out of the box. Mr. Sawicki will part of a panel of industry experts who will convene at the Global Food and Beverage Packaging Summit July 7 – 8 at the InterContinental Chicago Magnificent Mile Hotel. TricorBraun (www.TricorBraun.com ) helps bring customers’ new and existing products to market efficiently as one of the packaging industry’s largest suppliers of glass and plastic containers, closures, dispensers and tubes from over 40 locations throughout North America and internationally from London, England: Guangzhou, China; Hong Kong, and Mumbai, India. The award-winning, Design & Innovation center gives customers forward-thinking service based on consumer insight, understanding of the markets and creative solutions. In addition, advisory services range from preliminary planning, manufacturing oversight to an array of innovative warehousing and logistics programs. St. Louis, Mo January 7, 2015 – TricorBraun, one of North America’s largest suppliers of jars, bottles and other rigid packaging components, recently launched its completely redesigned website atwww.tricorbraun.com . From the sleek parallax feature to the instant connectivity of its amalgamated social hub to its online catalog, RapidFind, tricorbraun.com is making packaging design easier, faster and more accessible than ever before. With the innovative parallax feature, customers are immediately immersed in the possibilities provided by TricorBraun’s packaging process. As they scroll through the information about each step, they learn more about how the process simplifies and perfects packaging development and how it applies to their business. Similarly, the new, intuitive main navigation feature is designed to help customers easily find exactly what they need. Whether they are looking for specifics about their market, about various packaging materials or detailed information about the packaging industry, they are now able to find it with one click. TricorBraun’s divisions–TricorBraun Design & Innovation, TricorBraun WinePak, WinePak Direct, Xpress Pak and Packaging Options Direct– have their own home on the website, with information about services, capabilities and functional contact information. In addition, the completely redesigned Newsworthy section features in-depth information about the company including press releases, white papers, case studies, awards and sustainability efforts. For even more up-to-the-minute information, the site features a current blog and an integrated social media hub with content from TricorBraun’s Facebook, Twitter and Google+ feeds. Finally, TricorBraun’s extensive online catalog, RapidFind, is now faster, more complete and totally intuitive, delivering more relevant results to every search. RapidFind, along with the entire new site, is also fully responsive, making it easy to access and use from any device. St. Louis, Mo., August 19, 2014…Wine-by-the-glass is a financial balancing act in a restaurant’s beverage business. Popular by-the-glass sales let customers sample wines and enjoy them without the expense of purchasing a bottle. However, when the restaurateur opens a bottle, he speculates that it will not spoil before other customers finish it. “In a standard wine-by-the-glass program, restaurants keep an opened bottle around for hours or days, increasing the threat of oxidation, but that’s not a concern with kegs. By taking the bottle out of the equation, you also eliminate concerns about bottle variation, bottle shock and faulty corks,” according to MaryAnn Worobiec, senior editor of Wine Spectator (Tapped In: Wine in Kegs ). St. Louis, Mo., May 7, 2014…The arrival of Verallia’s new Selective Line bottles has been delivered to TricorBraun WinePak. The bottles are 750 ml and are currently available in two compelling styles. “These bottles provide production flexibility because they are in stock, ready for immediate delivery,” Andrew Bottene, senior vice president, TricorBraun WinePak said. The Futura, an extra-tall flint vodka bottle, imparts a statuesque profile that sets it apart from others. The 31.5 mm neck finish accommodates both cork and bartop closures. Each bottle weighs 550 grams, and each pallet holds 1040 bottles. The Nairobi provides a futuristic shape with a unique, ultramodern, retail presence. It is an extra-clear flint bottle. The 29 mm neck finish is suitable for a bartop closure. Each bottle weighs 600 grams and each pallet holds 1008 bottles. “Verallia’s stock spirits bottles offer additional bearing in a retail setting because they are made with extra flint glass which creates a brilliant shine and heightens their transparency,” Mr. Bottene said. In addition to these two styles available directly from the Fairfield location, TricorBraun WinePak also offers 40 plus stock spirits bottle designs that are readily available. All sales are FOB Fairfield, California. TricorBaun WinePak (www.TricorBraunWinePak.com) has offices in Northern and Southern California, Oregon, Washington and British Columbia. It has been serving the wine industry since 1982. The company’s facilities include a $2 million repacking system that automatically transfers wine bottles from eight-foot high stacks of pallets to individual wineries’ custom, 12-bottle cartons. It also offers an online store, WinePak Direct (www.WinePakDirect.com) that serves small wineries and large wineries with exclusive, limited case bottlings. St. Louis, Mo., April 24, 2014…TricorBraun WinePak, one of North America’s largest suppliers of wine and craft spirits packaging, announced it will exhibit at the Craft Beverage Expo May 6-8, 2014, at the San Jose Convention Center in San Jose, CA. TricorBraun WinePak will be located in booth #703. It is designed to connect artisan wine, craft beer, spirits and cider producers with the post-production partners and business strategies they need to successfully market their creations. The event represents an unparalleled opportunity for TricorBraun WinePak to engage new customers, while reinforcing its position as a forward-thinking industry leader. In addition to the largest collection of vendors focusing on the needs of independent producers, the Craft Beverage Expo conference program features industry pioneers Steve Hindy of the Brooklyn Brewery, Ken Grossman of Sierra Nevada, David Schuemann of CF Napa Brand Design and many more. As an exhibitor, TricorBraun WinePak will be at the center of the artisan beverage community’s largest gathering. No other event provides this level of exposure to potential new clients and industry influencers. The strategies that keep packaging ahead of purchasers’ high speed lifestyles will be presented at the Global Food and Beverage Packaging Summit by Craig Sawicki, TricorBraun executive vice president and chief creative officer. TricorBraun is one of North America’s largest suppliers of rigid packaging and components. The conference will be at the Chicago Hyatt Regency July 16-17. · “Keep your Package in the Game” Spot trends to keep packaging relevant. TricorBraun’s (www.tricorbraun.com) primary focus is on designing, sourcing and supplying rigid packaging and components for personal care; cosmetics; healthcare; food and beverages; as well as industrial and household chemicals. The company has more than 40 offices globally. St. Louis, Mo., March 11, 2014…Andrew J. Olsen, TricorBraun packaging consultant, has agreed to work with the senior package engineering students of Rutgers, The State University of New Jersey. He will work individually with students in addition to working with the senior class at large where he will share his experience in launching new packages and products. As part of his participation, Mr. Olsen has arranged for students to be involved in the redevelopment of packaging for Hello brandTM products, the first line of “Seriously Friendly” oral care products. As part of their senior assignments, students are tasked with emulating the entire development process of real life consumer product goods launches, from cradle to grave. This includes working off a project brief provided by Mr. Olsen and then setting the success criteria, project timeline and core deliverables that define a successful project. Mr. Olsen also works with students to conduct studies that package engineers commonly practice in the field today, such as critical dimensional analysis of new molds, stability testing of new formulations and logistics analysis like drop ship testing and top load strengths. “I see an opportunity to help students broaden their career perspectives as well as to the array of packaging disciplines they could pursue with a Rutgers engineering degree. This may lead to package engineering and /or development, purchasing, quality assurance, sales, marketing or operations in addition to other alternatives. “By building relationships with students, I wish to help them realize their goals and establish a career of their choosing,” Mr. Olsen said. TricorBraun (www.TricorBraun.com) is one of North America’s largest suppliers of rigid packaging. The company’s primary focus is on designing, sourcing and supplying bottles, jars and other packaging components for personal care; cosmetics; health care; food and beverage; as well as industrial and household chemicals. It has more than 40 offices globally and has one of the largest inventories of rigid packaging components worldwide. St. Louis, Mo., February 25, 2014 - Craig Sawicki, TricorBraun executive vice president and chief creative officer, recently addressed the delegates attending the Packaging Conference, a national event where packaging trends, technological advancements and sustainability are discussed. TricorBraun is one of North America’s largest suppliers of rigid packaging and components. Mr. Sawicki discussed the challenges associated with the development of consumer package goods when specialists approach originality with different goals. “R&D is frequently dealing with a short timeline, purchasing focuses on lower prices, logistics is concerned about the efficiency with which a package can be delivered and designers want to stop potential purchasers in their tracks. “These professionals may be on different paths, but all must be headed in the same direction. The goal is to guide those with seemingly disparate objectives to a common and mutually rewarding end point,” Mr. Sawicki said. TricorBraun’s (www.tricorbraun.com) primary focus is on designing, sourcing and supplying rigid packaging components for personal care; cosmetics; healthcare; food and beverages; as well as industrial and household chemicals. The company has more than 40 offices globally and has one of the largest inventories of rigid packaging components worldwide. St. Louis, Mo. February 17, 2014 - Suzanne Fenton, director of marketing, TricorBraun, has been elected to the board of directors of the Institute of Packaging Professionals (IoPP), the most prestigious trade organization representing the packaging industry. That same year she received the IoPP lifetime designation as a Certified Packaging Professional (CPP). She initially earned the trade organization’s CPP designation in 2002. Since 1972 only 1500 individuals in the 5000 member trade group have completed the lengthy testing program. TricorBraun (www.tricorbraun.com) is one of North America’s largest providers of rigid packaging and components. The company has more than 40 locations in the United States, Canada, Mexico, Europe and Asia. Its primary focus is on providing stock and custom-designed packaging for: personal care, nutritional supplements, cosmetics, health care, food and beverages, as well as industrial and household chemicals. Institute of Packaging Professionals provides education and training for consumer products companies as well as businesses providing packaging materials and services supporting the packaging industry. St. Louis, Mo., January 27, 2014…CY Lim has been named Director of Global Glass—Asia for TricorBraun, one of North America’s largest providers of bottles, jars and other rigid packaging components. In this position, he will be responsible for managing quality control for all glass product sourced from Asia, overseeing pricing and investigating new suppliers of glass containers. “This promotion is part of TricorBraun’s continuing effort to enhance its effectiveness in this dynamic part of the world,” Keith Strope, the firm’s chief executive officer, said. Prior to his current position, he was a Technical Service Engineer/Manager for Asia. Before joining TricorBraun in 2008, he had been employed by Malaya Glass Products Sdn Bhd, the country’s leading glass manufacturer. He served as the company’s Sales Manager and was responsible for customers including: The Coca-Cola Company, PepsiCo, Anheuser-Busch Companies, Inc. and Heineken International. He has a degree in Business Information Management. TricorBraun has more than 40 locations in the United States, Canada, Mexico, Europe and Asia. Its primary focus is on packaging for: personal care; nutritional supplements; cosmetics; healthcare; food and beverage; as well as industrial and household chemicals. St. Louis, Mo., January 14, 2014…Wine bottles with 3-D labels won a Bronze award in the 2014 World Beverage Competition’s packaging division for bottles. The specialty labels provided a new perspective for Okanagan Villa Estate Winery’s Vibrant Vine wine (See picture below). TricorBraun WinePak sourced the bottle which won the Bronze medal. The winery also won a Platinum, best of show award in the white wine tasting category. In the retail environment, 3-D glasses are fastened to the display coolers’ glass doors in front of the winery’s bottles. Shoppers simply look through the lenses and the wine bottle labels transform to their three dimensional appearance. The three dimensional experience is amplified in the winery’s tasting room where guests receive 3-D glasses and are exposed to an assortment of three dimensional artwork, displays and visitor souvenirs. Members of Trip Advisor, the world’s largest travel site, voted Okanagan Villa Estate Winery and the Vibrant Vine Tasting Room the best winery experience in British Columbia. Varieties of wine sporting the new labels are: Pinot Gris, Riesling, Chardonnay, Sauvignon Blanc, and Gewurztraminer. The winery’s most popular seller is a blend of all the grapes produced on the estate. By happenstance a handful of the 3-D labels, all of which are put on by hand, were applied upside-down to the bottles containing the blend. The bottles with the inverted labels had a look that appealed to the winery’s owner, Wyn Lewis, who named the blend OOPS! and is marketing the bottles with upside down labels. The 750 ML, tall hock bottles provided by TricorBraun WinePak are antique green with flat bottom finishes and use Stelvin closures. The Vintage Vine labels were designed by Phil Lewis, a Colorado-based commercial artist. TricorBraun WinePak (www.TricorBraunWinePak.com), with annual sales in excess of $120 million, is North America’s largest supplier of wine packaging. The firm has offices in Northern and Southern California, Oregon, Washington and British Columbia. It has been serving the wine industry since 1982. TricorBraun WinePak is part of TricorBraun (www.TricorBraun.com), one of North America’s largest providers of bottles, jars, and other rigid packaging components. The company’s primary focus is on the designing, sourcing and supplying of rigid packaging components for personal care; cosmetics; healthcare; food and beverages; as well as industrial and household chemicals. It has more than 40 offices globally and has one of the largest inventories of rigid packaging components worldwide. St. Louis, Mo., October 2, 2013 – Oregon’s largest winery and one of North America’s largest supplier of wine bottles developed an environmental program that exemplifies the wine industry’s commitment to ecological stewardship. King Estate Winery elected to change to a more sustainable glass bottle than it had been using for the prior decade. 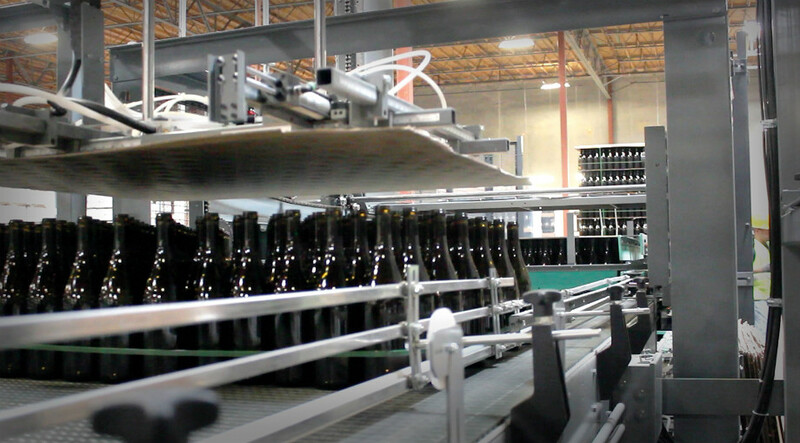 With TricorBraun WinePak’s guidance, the winery selected the Eco Series bottles manufactured by Verallia North America. “This is a winery that thinks ‘outside the bottle’ and the Eco Series selection was just the starting point for a sweeping sustainability program,” Gillian Brennan, TricorBraun WinePak’s representative said. “King Estate is all about sustainability, supporting the environment and recycling,” said Josh Rutherford, the winery’s purchasing manager. Together, Ms. Brennan and Mr. Rutherford began revamping the way the 1,000- acre winery thought about and addressed its commitment to sustainability. Ms. Brennan sourced corrugated cartons from a local company which also enabled the winery to incorporate an innovative QR code and use a local printer. They also chose a sesame tape to seal the new cartons. In addition to providing a seamless closure and an easy-opening box, the new tape offered protection for the product and guaranteed a clean display in its retail setting. Ms Brennan was able to reduce delivery errors by selecting a local, reliable trucking company. An internal recycling program was launched by returning an idle baler to use. The winery’s warehouse team learned the best way to sort and bale molded plastic and plastic film. It also began mixing office paper and corrugated to form 1,250-pound bales. Rather than use its own employees to transport unbundled waste, King Estate now calls the recycler for a no-charge pickup when it has approximately 20 bales of recyclable material. During its busy season, the winery may assemble 20 bales once a month, and at that rate, it receives a monthly check for approximately $1,200. “The search for an eco-bottle turned into a sustainable and rewarding partnership,” Ms. Brennan said. TricorBraun WinePak now handles all King Estate’s wine packaging needs. As the winery expands into the personal care category, it has begun working with other TricorBraun divisions to source packaging for the hand lotions and soaps made from lavender now grown on the King Estate. TricorBraun WinePak has offices in Northern and Southern California, Oregon, Washington and British Columbia. It has been serving the wine industry since 1982. TricorBraun (www.TricorBraun.com) is one of North America’s largest providers of bottles, jars, and other rigid packaging components. Ms. Fenton received in March 2013, the IoPP lifetime designation as a Certified Packaging Professional. She initially earned the trade organization’s CPP designation in 2002. Since 1972 only 1500 individuals in the 5000 member trade group have completed the lengthy testing program. The Institute of Packaging Professionals provides education and training for consumer products companies as well as businesses providing packaging materials and services supporting the packaging industry. Suzanne Gordon, a sales manager for TricorBraun WinePak, discussed, "Choosing a Good Supply Partner" at a recent Zinfandel Advocates and Producers’ meeting in Napa, Calif.
Ms. Gordon has worked in the wine industry for more than 20 years. Her career began with Madera Glass, a wine bottle manufacturer, followed by positions in the wine bottle distribution business including Trilogy Glass & Packaging until it was acquired by TricorBraun WinePak. She is a Sonoma County resident. TricorBraun WinePak (www.tricorbraunwinepak.com) is a $120 million division of TricorBraun that specifically services the wine industry. It is the largest supplier of wine packaging in North America and has offices in Northern and Southern California, Oregon, Washington and British Columbia. The Zinfandel Advocates and Producers (ZAP) was founded in 1991 promote the Zinfandel grape. Its membership includes producers, vintner’s suppliers and other advocates. TricorBraun WinePak has launched a successful zero-waste program which has incurred no expense and has redirected 1020.91 tons of waste to recyclers, according to Jad Darsey, TricorBraun’s director of sustainability and plastics. TricorBraun WinePak (www.tricorbraunwinepak.com) is a $120 million division of TricorBraun that specifically services the wine industry. It is the largest supplier of wine packaging in North America. In March 2012, the company launched a four point program to systematically eliminate waste. The four points were based on its four streams: corrugated, plastic, pallets and waste glass. The strategy is to match the right recycler with the company’s needs. The program was headed by Ernesto Olivares, TricorBraun WinePak’s distribution manager. A solid market for waste-corrugated exists, and Mr. Olivares identified a recycler with that area of specialization. The recycler provided a bailer and hauling at no cost in trade for the company’s waste-corrugated. Mr. Darsey reports during the first year of the program 429.94 tons of waste-corrugated were recycled. Waste plastics— including pallet wrap, plastic strapping and PET— are placed in totes that are provided without charge by a recycler and are strategically placed around the distribution center. This alliance between the company and its recycler kept 17.51 tons of waste out of landfills, according to Mr. Darsey. Waste glass is a valuable commodity. Between 95 and 98 percent of the company’s broken glass is recycled. TricorBraun WinePak has provided glass manufacturers with 573.46 tons of broken glass destined to become new bottles and jars. TricorBaun WinePak has offices in Northern and Southern California, Oregon, Washington and British Columbia. It has been serving the wine industry since 1982. Winepak Direct: The latest venture from TricorBraun WinePak. The latest venture from TricorBraun WinePak. Now's the time to experience all that WinePak Direct has to offer. A uniquely designed service, WinePak Direct gives you the power to make all your smaller-scale packaging purchases online. Our easy-to-use catalog features twenty stock bottles in assorted sizes, shapes and colors, as well as a selection of Stelvin Closures in six color varieties. As your packaging partner, we believe WinePak Direct offers your business the convenience and efficiency it needs to succeed. Our collection features twenty stock bottles in assorted sizes, shapes and colors, as well as a selection of Stelvin Closures in six color varieties. Look no further, WinePak Direct has 1.5, 3 and 5 liter bottles in stock, ready to be filled. TricorBraun is proud to be a sponsor of a seminar that will give you more insight on how innovations in packaging, print technology and material science drive shelf impact: Join us for a Free Packaging Innovation Seminar and Trade Show hosted by WS Packaging. British Columbia Wineries Are Commended For Their Green Initiatives. In honor of Earth Day, TricorBraun WinePak and Verallia are proud to announce their sustainable partnership with a number of wineries across British Columbia. Together, we are working to reduce our industry's carbon footprint one wine bottle at a time. As your source for superior solutions, TricorBaun WinePak strives to provide your business with sustainable options for a greener packaging future. Learn more about the program and see our partnership at work. TricorBraun WinePak has launched WinePak Direct (www.winepakdirect.com), an online store created to serve small wineries and large wineries with exclusive, limited case bottlings. WinePak Direct is offering 20 bottles of various colors and styles, including large format bottles. It is also marketing Stelvin closures in six colors. The newly-launched internet-based store sells one-half-pallet minimum quantities. There is no charge for the pallet and WinePak Direct is absorbing the tax. WinePak Direct will not close and a resident expert will be available to help customers Monday through Friday from 8:00 a.m. to 5:30 p.m., Pacific Time. “This new endeavor illustrates how a large company can commit its resources to help wineries with modestly sized offerings. WinePak Direct is an important advancement for both wineries and the wine industry,” Andrew Bottene, Senior Vice President TricorBraun WinePak said. TricorBraun WinePak has launched a Quality Assurance Program to help wineries enhance their profitability by effectively matching bottles, labels and closures with their filling equipment. The new program also expands TricorBraun’s ability to troubleshoot bottling line problems. TricorBraun WinePak held an Open House on May 4 for many visitors to get a look at the larger, more efficient space and view the new, full-automated repacking equipment in operation. Be sure to join us as we watch for interesting and fun information surrounding the wine industry in general and wine packaging in particular. "LIKE" our page to get the latest trends and news! Head over to www.facebook.com/TrilogyGlass and like our page. Join us as we watch for interesting and fun information surrounding the wine industry in general and wine packaging in particular. "LIKE" our page to get the latest trends and news! Head over to www.facebook.com/TrilogyGlass and like our page. Heidi Cook, WinePak Packaging Consultant out of our Vancouver BC office, started last Thursday bright and early tasting Pinot Gris at 9am, judging for the Spring Okanagan Wine Festival, happening this weekend. Tough job, but someone had to do it! Tricor's booth at WSWA (Wine & Spirits Wholesale of America) show at Caesar's Palace! TricorBraun and its customers, New Artisan Spirits and Square One Organic Vodka, won the Gold and Bronze Awards, respectively, in the World Beverage Competition Spirits Packaging category. TricorBraun, one of the world’s largest suppliers of jars, bottles and other rigid packaging components, sourced bottles for both companies. Buildings from world-famous skylines provided the inspiration for Don Short of New Artisan Spirits for the ROXOR custom-designed 750 ml bottle that is made with cosmetic grade super flint glass. TricorBraun designed the 33-400 custom light-weight polypropylene continuous thread closure that is embossed with the spirit’s name. A flat, window-pane relief designed at the bottle’s waist serves as a grip and provides a space for the two-pass silkscreen label. The bottle’s parting-line is placed on a diagonal so it cannot be seen across the face. The Square One bottle is designed as an elegant rectangle with unmistakable square, sharp shoulders, and the glass is embossed with the Square One logo. The 750 ml bottle is made with cosmetic grade flint glass and uses a bar-top finish. Its natural legacy includes organic, American-grown rye. The forward-facing label is a paper-free blend of bamboo pulp, sugarcane and cotton. The side labels use a corn-based transparent film and soy ink is utilized exclusively. The World Beverage Competition considered entries in 22 categories from more than 30 countries. With more than 10,000 entries, it is recognized as one of largest and most prestigious competitions. Providing eco-friendly bottles, domestic and imported bottles, Stelvin closures and capsules and Bag in Box. Our GOAL is to provide the products which will enhance your wine in the market place with quality products and outstanding service. TricorBraun WinePak has multiple warehouses and offices on the West Coast with experienced sales staff to service each region. We have a large automatic repack facility enabling us to pack “just in time”. Long- term relationships with our core suppliers are our cornerstone. We work with the best, to bring you the best. Come see our selections at booth #1100. Also stop by our booth staffed by our Trilogy team at booth #1802. TricorBraun Acquires Trilogy Glass and Packaging, Inc.
TricorBraun (www.tricorbraun.com), a leading supplier of bottles, jars and other rigid packaging components, announced today that it has acquired Trilogy Glass and Packaging, Inc. of Santa Rosa, CA. Trilogy will become part of TricorBraun WinePak, making it a $120 million division of TricorBraun that specifically services the wine industry. “We’re very excited about being part of TricorBraun,” said Rick Miron, co-owner of Trilogy Glass and Packaging. “Having expanded capabilities—particularly the repacking operation in Northern California and an expanded financial base—are a real plus,” said Greg Windisch, co-owner of Trilogy Glass and Packaging. This acquisition has effectively doubled TricorBraun WinePak’s sales force and clearly establishes it as North America’s largest supplier of wine packaging. The firm has offices in Northern and Southern California, Oregon, Washington and British Columbia. A recently opened location in Fairfield, CA includes a $2 million repacking system designed to automatically transfer wine bottles from eight-foot high stacks of pallets to individual wineries’ custom, 12-bottle cartons. This facility also provides over 65 percent more warehousing space than in its previous Northern California location. TricorBraun WinePak (www.tricorbraunwinepak.com) will relocate its Benicia distribution center to a larger facility on January 3, 2012. The new distribution center will provide 65% more storage space than the present facility and will include an brand new repacking system designed to automatically transfer wine bottles from eight-foot high stacks of pallets to individual wineries’ custom, 12-bottle cartons, according to Andrew Bottene, vice president of TricorBraun’s wine packaging division. “The current industry practice is to repack bottles into individual winery’s cases by hand. Our new system will allow us to provide a valuable service and it will provide us with tremendous flexibility in meeting wineries’ needs,” Mr. Bottene said. TricorBraun WinePak is the preferred West Coast distributor for Verallia, formerly Saint Gobain Containers and a preferred West Coast distributor for the Amcor's Stelvin line of aluminum screw caps and capsules. The company also supplies bag-in-box packaging and PET plastic wine bottles. Providing eco-friendly bottles, Bag in the Box, European, Asian, Plastic and Domestic wine bottles, capsules. Our GOAL is to provide the products which will enhance your wine in the market place with quality products and outstanding service. TricorBraun WinePak has multiple warehouses and offices on the west Coast with experienced sales staff to service each region. We have a large automaticrepack facility enabling us to pack “just in time”. Long term relationships with our core suppliers is our cornerstone. We work with the best, to bring you the best. The Plus is our people. Let us help you with your wine packaging requirements.